This is one of the sweetest reads, and not only for Christmas, this can be read any time. 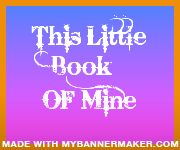 And I love the cover, it makes a beautiful conversation book for your coffee table. 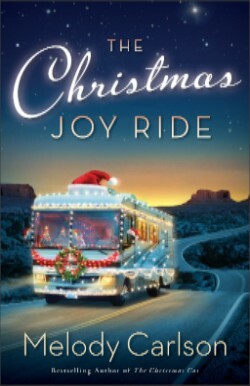 I can just imagine Joy and Miranda riding in that old RV, all decorated for Christmas, across the country! I would have loved being with these two. The two had a fun time playing Santa and dropping off gifts to people on the way. And the bitter sweet ending is just wonderful. Joy was such a special person and neighbor, one we all want to be like, and live close too. This book sure made me want to be a better neighbor and help those in need more. I highly recommend this Melody Carlson special story. Melody Carlson is the award-winning author of more than two hundred books with combined sales of more than six million. She is the author of the bestselling The Christmas Bus, The Christmas Dog, Christmas at Harrington’s, and The Christmas Cat. She received a Romantic Times Career Achievement Award in the inspirational market for her many books, including the Diary of a Teenage Girl series and Finding Alice. She and her husband live in central Oregon. Learn more at http://www.melodycarlson.com. Stan opened the ugly ornaments box and pulled out the top three ornaments, the ones wrapped in green paper, the kids’ favorites, and set them on the coffee table. He picked up the first one, the biggest one–Anna’s blue pinecone–and began to unwrap it. Without thinking, Judith walked up, stopped him, and gently took it out of his hand. She wrapped it back up, set it carefully in the box. Then picked up the other two ornaments, put them in the box, and closed the flaps. For the first time since their children were born, empty nesters Judith and Stan Winters spent Thanksgiving without the kids, and it’s looking like Christmas will be the same. Judith can’t bring herself to even start decorating for the holiday; her kids always hung the first ornaments on the tree, ornaments they had made each year since they were toddlers. Sure, the ornaments were strange-looking–some were downright ugly–but they were tradition. With Judith refusing to decorate the bare spruce tree in their living room, Stan’s only hope for saving the holiday is found in a box of handmade ornaments . . . I always look forward to Dan Walsh’s Christmas stories. 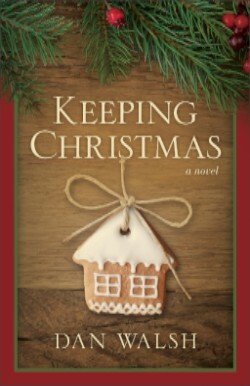 Keeping Christmas is a story that relates to many people who have family living far away. Judith Winters couldn’t handle spending both Thanksgiving and Christmas without her children and their families. Refusing to decorate for Christmas causes her husband to go rethink the big boat he is thinking about buying and do something special for his wife. How many people would love to have this husband! To be so selfless? And what did he do? That’s something you need to read this book to find out. And the good thing about this book, though it was an awesome read during the Christmas season, it is not necessarily just to read around Christmas. I would read it any time. The story is the same. And Dan Walsh has penned another awesome read! Dan Walsh is the bestselling author of several books, including The Unfinished Gift and The Restoration Series with Gary Smalley. He has won three Carol Awards, and three of his novels were finalists for the RT Book Reviews Inspirational Book of the Year. A member of American Christian Fiction Writers, Dan served as a pastor for twenty-five years. He lives with his wife in the Daytona Beach area, where he’s busy researching and writing his next novel. Learn more at http://www.danwalshbooks.com. Strong willed Carrie Ann Bell decides to change her appearance and take off looking for her sister that ran away. With the war going on, this was not a smart move for Carrie, and when she was arrested by Colonel Peyton Collier arrests her for her impersonation of an officer, well she realizes her fears of the Yankee’s is quite real. As the story develops, Carrie faces difficult situations that rips her world apart. When her childhood friend Joshua shows up as a spy, what will Carrie do? Can she trust the Colonel, a man she has become attracted to, or will she be loyal to her longtime friend? For me, the story starts out slow and it takes me a while to really get into it. This is unusual for a Andrea Boeshaar book because I love her books! I loved the setting being in the Shenandoah Valley, a place I have been to many time. The book seemed more real for me, knowing the setting. I grew to love the realistic characters, and the history in this book is amazing. A history buff would sure love reading this historical fiction! A story that I recommend, especially to those who enjoy historical fiction! This is my first book by Pepper Basham, and WOW! It was wonderful! When I started this book, I could not put it down! The characters were so well developed, the plot was written in an amazing way to keep me interested!! I am so glad to have a new author to follow, and I will be looking for more Pepper Basham books! Be sure to check out her other books! 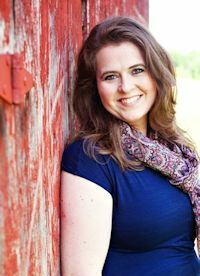 Kelly Irvin is the author of several Amish series including the Bliss Creek Amish series, the New Hope Amish series, and the Amish of Bee County series. She has also penned two romantic suspense novels, A Deadly Wilderness and No Child of Mine. The Kansas native is a graduate of the University of Kansas School of Journalism. She has been writing nonfiction professionally for thirty years, including ten years as a newspaper reporter, mostly in Texas-Mexico border towns. She has worked in public relations for the City of San Antonio for twenty years. Kelly has been married to photographer Tim Irvin for twenty-seven years. They have two young adult children, two cats, and a tank full of fish. In her spare time, she likes to write short stories and read books by her favorite authors. Leila Lantz has a difficult decision to make. Two young men, Jesse, and Will (Jesse’s cousin) want her love and commitment. But the two offer entirely different lifestyles for Leila. Jesse is struggling with his faith, and not so sure he is ready for a lifetime commitment, but Leila has loved him since the first time she saw him. And Will, well he is more settled and knows what he wants to do with his life, but keeps his feelings for Leila to himself because he doesn’t want to hurt his cousin Jesse. How will this author untangle this mess of relationships for Leila? I really like the way Kelly Irvin writes Amish fiction. She adds a unique twist to her stories that make them very interesting and entertaining. Leila has some tough decisions to make, but I liked that. 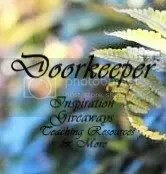 Dealing with real life situations, even among the Amish faith helps to realize that we all have problems that we must surrender to the Lord. And this book will have you taking a closer look at your own faith. It was nice visiting characters from book one, and I am excited to read book three when it hits the shelves. If you are looking for a good clean book for enjoyment, this is a wonderful one to pick up! Businesswoman Celeste Thompson has one goal: to make her restaurant and hotel a success. She doesn’t need any distractions, even from handsome contractor Gage Purcell and his two adorable little girls. Besides, single dad Gage is just biding his time before a big job at the mines comes through. But as Celeste’s project springs to life, their arguments transform into attraction. Gage isn’t looking for romance, especially not with another career-driven woman like his ex-wife. But openhearted Celeste is more than just another work-consumed client. She might just be his happily-ever-after. 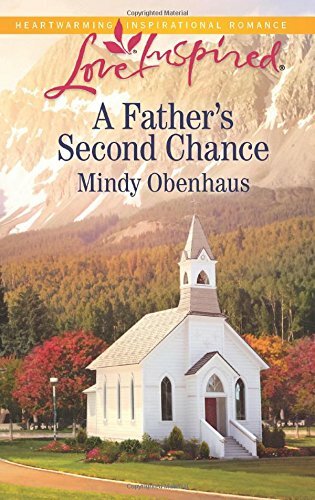 If you would like to read the first chapter of A Father’s Second Chance, go HERE. I’m sorry I didn’t rec’ve my copy of this book so I didn’t read it yet. I will post review when I get the book and read it! But just from reading the book description, I know its awesome because Cynthia Ruchti books are awewsome! So check this one out. I love the cover color, so that alone would make me buy the book! Twenty-four-year-old Naomi King, who has been burned twice by love, has all but given up on marriage and children. As Christmas approaches-a time of family, faith, and hope for many others-Naomi is more certain than ever her life will be spent as an old maid, helping with the family’s quilting business and taking care of her eight siblings. Then she meets Caleb, a young widower with a 7-year-old daughter, and her world is once again turned upside-down. Despite Abigail’s constant chatter, she and Micah become friends-until Micah makes a decision that leaves Abigail feeling betrayed. With Christmas in their midst, can Micah find a way to reconcile with Abigail and to reveal what’s on his heart? Frannie knows her parents have the best of intentions when they send her back to Bee County, Texas, to live with her aunt Abigail and her husband Mordecai. After all, she knows nothing can come of a relationship with Rocky, the handsome but Englisch farmer boy back in Missouri. It’s best to put those feelings aside, no matter how hard it is. But all bets are off when Rocky follows Frannie to Texas to plead his case. Could he be the Christmas gift to end all gifts? My favorite thing to do during the Christmas holiday’s is to read Christmas stories, and books like An Amish Christmas Gift with three novellas are awesome because you can read one story in one setting. Here we have three of my favorite authors, Kelly Irvin, Amy Clipston and Ruth Reed with their Amish Christmas stories. Naomi’s Gift by Amy Clipston, An Unexpected Joy by Ruth Reid and A Christmas Visitor by Kelly Irvin will fill your hearts with Joy and Love as you read these stories about three different families. I won’t go into detail about each story, giving away anything fun, but you will enjoy this collection of novella’s as you get ready for the Christmas season. What fun to have a short story waiting when you have a few minutes to sit down and rest! 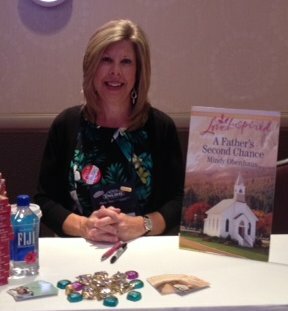 Shelley Shepard Gray is a New York Times and USA Today bestselling author, a finalist for the American Christian Fiction Writers prestigious Carol Award, and a two-time HOLT Medallion winner. She lives in southern Ohio, where she writes full-time, bakes too much, and can often be found walking her dachshunds on her town’s bike trail. Find Shelley on her website, http://www.shelleyshepardgray.com, on Facebook: ShelleyShepardGray, and on Twitter @ShelleySGray. Love this book, Love this series! Shelley Shepard Gray is one of the best!! Lydia and Sebastian were two very different people, from completely different backgrounds, but the attraction between them was real. But the two being together was just impossible. Or was it? Though rough as some of the characters are, this is a pretty sweet story. There is a lot of bad things happening, a lot of tension, a lot of twists and turns, but Ms. Gray does a fantastic job of pulling it all together, with twists and turns you don’t expect, and making another awesome story in this series. I don’t want to say too much, and give anything away, so I wont! This is a wonderful and entertaining story, set just after the Chicago Worlds Fair is over, a story that will stay with you for a while. Another Way Home continues the story of Grant and Audrey’s family, this book focusing on their daughter Danae. She and her husband have been trying to have a baby for a very long time, even with medical help, but so far nothing is happening. Danae decides to volunteer at a women’s shelter, pouring all of her time into the work and the people there. When she tries helping a hurting women, and her son, Danae and Dallas’ life changed forever. Deborah Raney has written another really good read in this third book in the Chicory Inn Series. I have enjoyed following this family, and Danae and Dallas’ story is very heartwarming. This story teaches us that God is in control of our lives, and he has a perfect plan for us, even if it is nothing like what we imagine. I encourage you to go out and pick up a copy of this book, along with books one and two in the series. You will enjoy this wonderful and entertaining read. Litfuse Presents Miracle Drug by Richard L. Mabry, M. D.
by Richard L. Mabry, M. D.
I love Richard Mabry’s books, and I loved Miracle Drug. The former President of the United States was intentionally exposed to a very rare virus, and newly appointed to his care was Dr Josh Pearson. Finding a treatment for this virus was more than a problem because the sample drug that was made to treat this virus was destroyed. Making matters worse, Dr. Pearson’s girlfriend ends up with the same virus, making the decision even more tense and stressful. With interesting and unique characters, Miracle Drug is a fast, action packed suspense that will have you on your toes throughout the book! Just when I thought I had the bad guy figured out, another twist or turn would happen and I was at square one again. Thanks one of the things I love about Dr. Mabry’s books. Another unique thing about his books is that being a Doctor, Dr. Mabry has first hand experience and knowledge about anything medical. This is what makes his medical fiction so wonderful, the entire book is full of detailed medical scenes, all centered around sometime scary suspenseful situations! I highly recommend Medical Drug to you for hours of fun fast pace suspense fun.